As we learn about different community helpers in our community, the Jr. Nursery Vertical class was introduced to one of the community helpers who keeps us pampered – the masseuse. To be more familiarized with them, the class had their SPA-bulous outdoor activity at Revolutionailz Nail Salon. They explored the salon and met some masseuses. They learned about their services and even got FREE foot spa! What a SPA-bulous day! Thank you, Revolutionailz for the SPA-bulous experience! For the third term, we talked about Our Community. One of the community helpers that we talked about is the pharmacist. To make our topic more meaningful for the JNV AM class, we brought them to Southstar Drug Liberty Center to get to know a pharmacist and purchase their own vitamins. They showed excitement in interviewing Ms. Andrea, the pharmacist in-charge that day, and they were so independent in making their purchase. Great job, JNV! Thank you for your help dear parents and guardians! ‘Til next time! 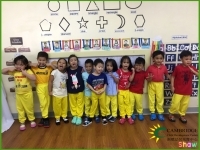 Last February 6, the Toddlers, Junior Nursery 1, and Nursery Vertical PM classes had a fun fieldwork at California Pizza Kitchen in Shangri-La Mall. As part of our previous lessons about community helpers, the children had a first-hand experience in being chefs at CPK. They had an exciting restaurant kitchen tour and had witnessed pizza dough hand-tossing by a CPK pizza chef! Additional activities that were also worthwhile are making jewellery out of pasta and accomplishing their pizza coloring sheets. Then, as the highlight of the day, each child prepared his/her own pizza by spreading marinara sauce and cheese on the dough. Eating their very own pizza has been a delicious and fulfilling treat for everyone! 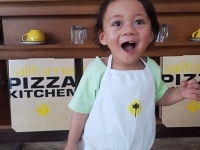 Thank you so much, CPK Shangri-la Plaza Mall for a pizza-mazing day! The children absolutely enjoyed making pizza with their family and friends! 'Til next time! 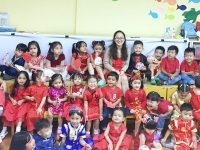 Last February 1, The Cambridge Shaw kids had an amazing Chinese New Year celebration. 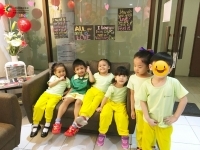 The kids had fun learning some Chinese nursery rhymes and listening to the Legend of Nian — it was indeed surprising that a beast like Nian is scared of loud noises, fire, and color red. Aside from these, the kids also made their Year of the Pig fan craft and danced to Chinese tunes. Lastly, we had a little feast to celebrate abundance. The kids enjoyed the different Chinese food and delicacies they brought to share with their friends. To everyone, Xin Nian Kuai Lei! Happy Chinese New Year! May the year of the pig bring you happiness and prosperity! Nursery Vertical Outdoor Activity: FOODtastic! 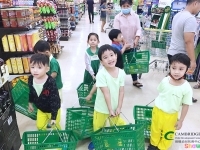 To make our topic about the supermarket much more exciting, the NV kids had an outdoor activity at Puregold Shaw. The kids happily shopped their own goods and paid it by themselves! After buying, they made their own yummy sandwich. What a fun day indeed! To have a better understanding of our topic about sending letters to someone and the mail man as a community helper, the Sr. Nur-Kin kids sent cards to their parents! After writing their sweet messages, the kids had an outdoor activity going to LBC and did the transactions by themselves. It was so much fun! Especially when they saw their parents received their cards. Thank you, LBC Mandala Park for sending our love to our mommies and daddies! Jr. Nursery Outdoor Activity: Vroom Vroom! One of the community helpers we learned in class is the driver who keeps us safe by following road safety rules and regulations. 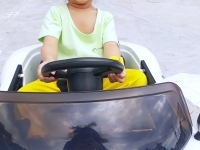 To make learning more fun, the JN1 kids had outdoor activity at Mandala Park and experienced riding a tricycle. 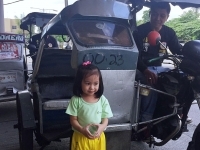 They got to know Kuya Dodong, the tricycle driver, and observed how he keeps us safe on the road. He followed the traffic and road signs! It was indeed a refreshing experience for the JN1 Kids! The Toddlers happily talked about toys and transportation. To supplement their learning through an experiential activity, they had an outdoor play with their toy bikes and cars! What a "wheely" great way to show off those amazing driving skills, Toddlers! It was the sweetest time of the year! 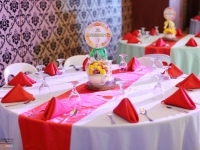 Last December 18, Cambridge Shaw held its Christmas party at the St. Francis Shangri-la Place. Cambridge Shaw families and friends joined us in this special event as we celebrated Christmas in Sugarland. For the Christmas Term, the kids learned about different Christmas symbols (especially the gingerbread man and candy canes) - what they are and what they symbolise. 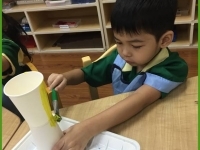 The kids definitely enjoyed making fun Christmas crafts which were used as our Christmas decors. They were also singing and dancing to Christmas beats as they prepared their performance for our Christmas party. Oh, what fun it is to see them groove and sing their hearts out during the Christmas party! They were all nice and naughty - in the most adorable way - as they showed their parents their Christmas performances. We absolutely love every second of it! The Christmas party was not over without the scrumptious holiday feast and exciting gift-giving. The kids enjoyed the holiday feast with family and friends after the program and were very much delighted by the gifts they received from friends. There's just an overflowing Christmas joy in our hearts to see such smiling faces! It was indeed a season to be jolly! Happy holidays! As we end this term, the Sr. Nur-Kin kids had a very enjoyable, fun yet meaningful culminating activity. We invited a veterinarian from Vets Plus to be our resource speaker. He talked about how to take care of animals as pets. The kids listened very attentively and showed great admiration to the resource speaker. They even said that they want to be a vet someday! The kids also got to pet and feed with our bunny friends, Panda and Pancake. Lastly, we reviewed our photos for the entire term with our parents and guardians. It was indeed a day to remember! Good job, Pet Patrol Friends! 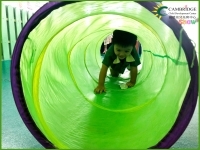 The Toddlers embarked on yet another journey as they explored the world of animals! 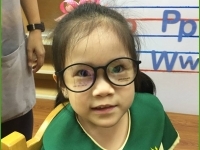 With the term's theme, Our Special World, the children got to know the animals living on various habitats — on the farm, deep in the ocean, in the savanna, in the forest, and even at home! What better way to learn about animals than to take care of one, right? 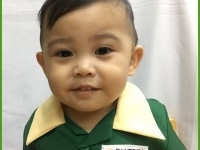 On November 16, the Toddler Class had their Culminating Activity entitled "Pet Patrol!" 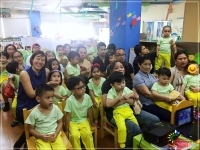 The children listened to Dr. Dennis Quinito, a veterinarian, who helped us in learning about fish as pets. Then, they applied what the vet taught them by fixing their own aquariums and feeding their new pet fish! Hooray, Toddlers! It has been a great term for everyone, and we couldn't have done it without the support of our dear parents and guardians. Thank you and here's to more adventures ahead! Last November 15, the JNV students, along with their parents and guardians, experienced our Term 2 Culminating Activity: Mandala Park Clean-up Day. 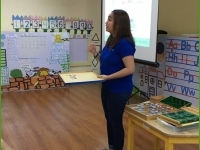 In this activity, they were reminded about keeping our environment clean and making it safe for humans and animals. They also got the chance to segregate the trash that they got as paper or plastic. They showed great dedication and participation in this clean-up drive! Double high-five for everyone! 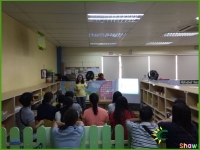 Our Term 2 with the theme Our Special World, became an avenue for the kids to share amazing adventures with each other as they learned about animals. We read through different animal literature that developed our curiosity and love for animals. We also explored different animal habitats that made us care more about them. Hence, a great way to cap off our term is to give back to our environment. 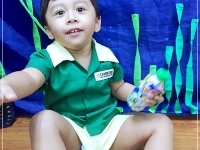 Last November 14, the Junior Nursery 1 had their Culminating Activity, Trash to Treasure. 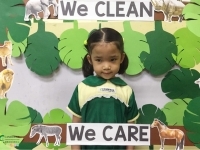 We compared pictures of a clean and a dirty ocean, and chose which is best for the animals. Looking at pictures trapped in plastics made us really sad, so we are determined to help them in our own little way. We made ecobricks using PET bottles and plastics. The kids together with their guardians patiently stuffed the bottles with their plastics cutouts. These ecobricks can be used to make chairs, tables, and it can also be used to build something as big as a house. Great job, JN1 for accomplishing the task! We are definitely proud and happy that in our own little ways, we can save the animals and their habitat! Thank you our dear parents, guardians, and students for your continuous support and participation! 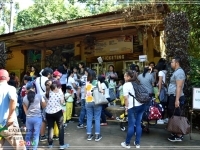 Cambridge Shaw went world wild as we explored Zoobic Safari and Ocean Adventure last October 18. 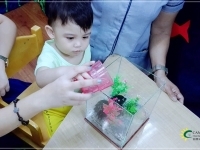 Together with their parents and guardians, the kids explored different animal habitats: forest, farm, savanna and ocean. It was a day full of wild experiences and explorations! Zoo-per fun! 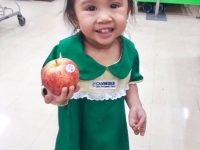 Last October 26, the Cambridge Shaw students had a Halloween party with the theme Coco. 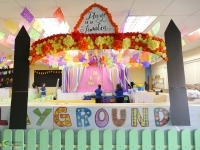 It was surely an event to remember for all the fun activities with our students and their parents and guardians! They made their flower crowns, decorated their sugar skull masks and became talented musicians just like Ernesto Dela Cruz! Then, we roamed around Mandala Park for trick-or-treat and got no tricks, just lots of treats! A feast also awaited to feed the hungry souls. What a fun and unforgettable Coco Loco Halloween experience! Thank you so much to our Cambridge parents and guardians for coming and making it more memorable for the kids. We would also like to extend our gratitude to all the participating establishments for our trick-or-treat activity! Till our next halloween! Hello to all the children of the world! Last October 5, we had our UN Day Celebration! 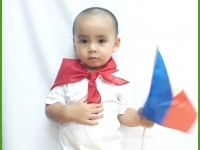 The students wore costumes and made flags from different countries. 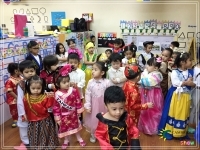 They all looked adorable in their costumes which they showed everyone during the Parade of Nations! They learned songs like Hello to All the Children of the World and Seven Continents Song. What a great way to end the week! Thank you so much, parents and guardians, for helping us make our UN Day truly memorable. We appreciate your great effort and support in our events. The Cambridge kids had the opportunity to channel their inner Spartan at the Spartan Race Cambridge Shaw Edition. It aims to let the kids use their stored energy in the most meaningful and fun way which is going through different obstacle courses. They were all thrilled as they crawled through tunnels, went above and below platforms, and finished more obstacles such as passing through a web! 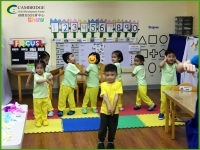 This paved a way to enhance their gross motor skills while engaging in cooperative play with their schoolmates. Each obstacle was conquered with determination and fierceness just like Spartans. You were all amazing champions! AROO!